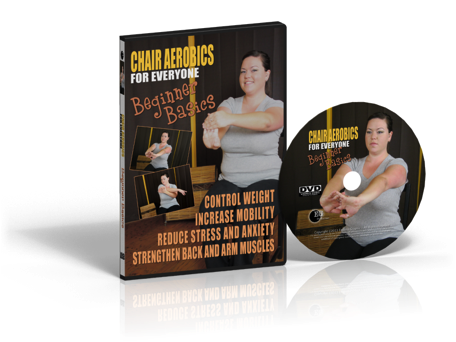 Beginner Basics from the Chair Aerobics for Everyone Series is an extremely effective strengthening and stretching exercise routine. It is designed for the very beginner or for individuals with limited mobility that would like to incorporate exercise into their daily routine. Beginner Basics is a slow paced work out beginning with a gentle warm up followed by stretching, arm, and core exercises. These gentle, yet effective exercises will help you become more flexible, while firming and toning your muscles. The stretching section of the DVD will help to increase flexibility while the core and arm section will help you tighten and sculpt your muscles helping to become more physically fit.